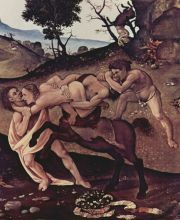 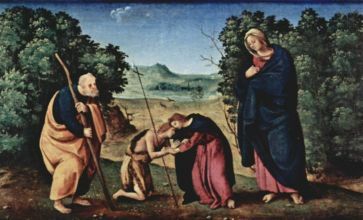 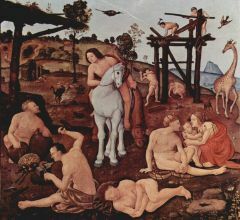 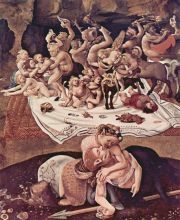 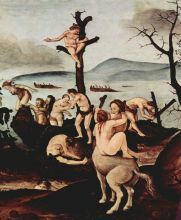 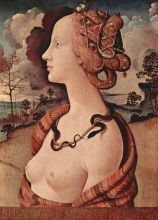 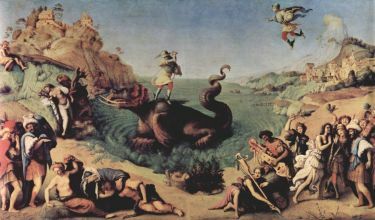 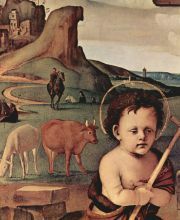 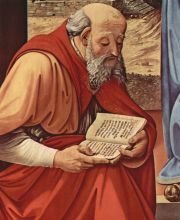 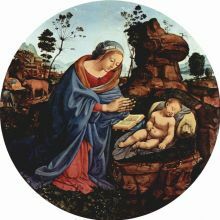 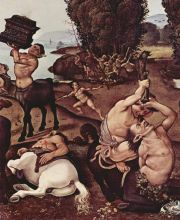 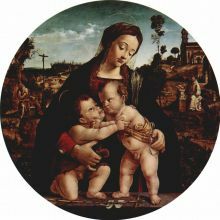 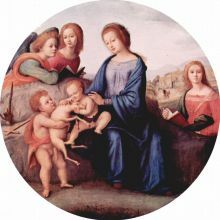 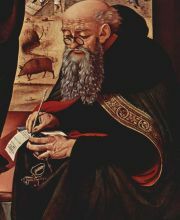 Piero di Cosimo (also known as Piero di Lorenzo) (January 2, 1462 – April 12, 1522) was an Italian painter. 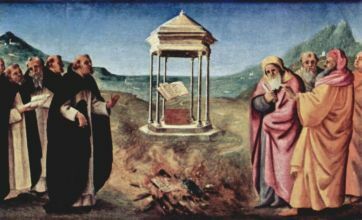 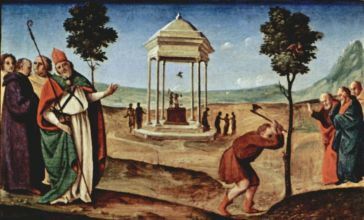 The son of a Florentine goldsmith, Piero was born in Florence and apprenticed under the artist Cosimo Rosseli, from whom he derived his popular name and whom he assisted in the painting of the Sistine Chapel in 1481. 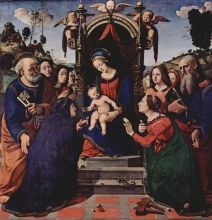 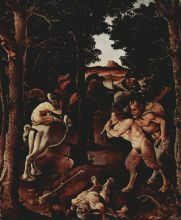 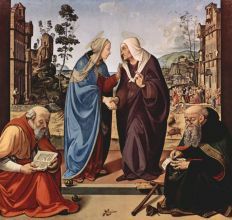 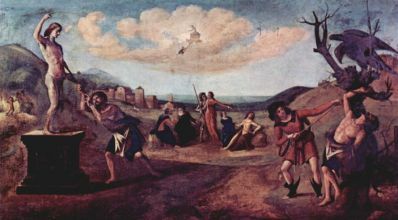 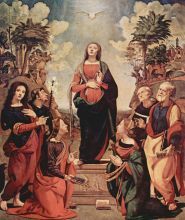 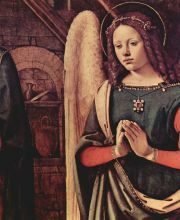 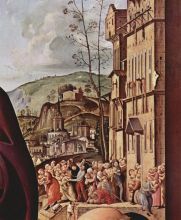 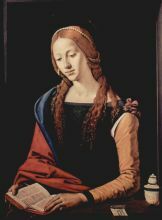 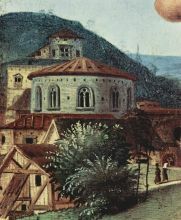 In the first phase of his career, Piero was influenced by the Netherlandish naturalism of Hugo van der Goes, whose Portinari Triptych (now at the Spedale of Santa Maria Novella in Florence) helped to lead the whole of Florentine painting into new channels. 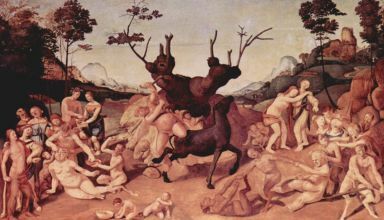 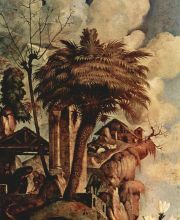 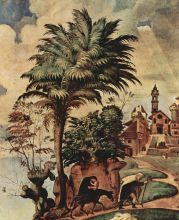 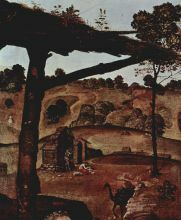 From him, most probably, Cosimo acquired the love of landscape and the intimate knowledge of the growth of flowers and of animal life. 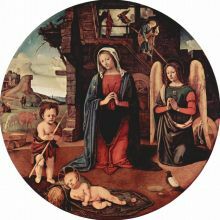 The manner of Hugo van der Goes is especially apparent in the Adoration of the Shepherds, at the Berlin Museum. 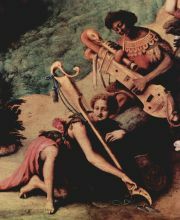 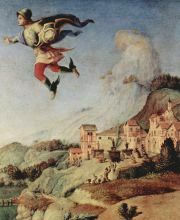 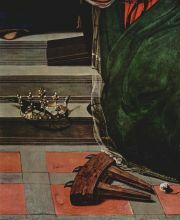 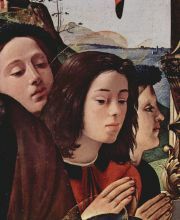 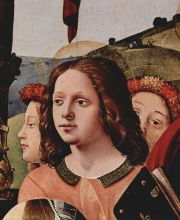 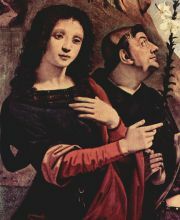 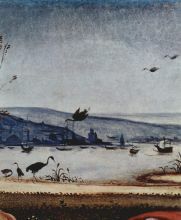 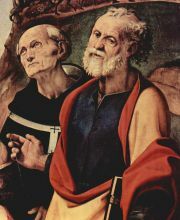 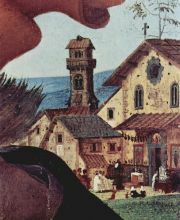 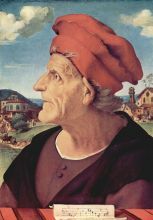 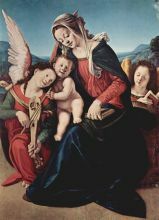 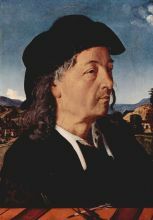 He journeyed to Rome in 1482 with his master, Rosselli. 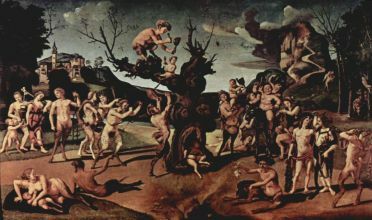 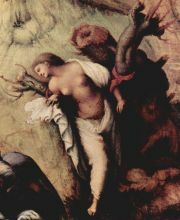 He proves himself a true child of the Renaissance by depicting subjects of Classical mythology in such pictures as the Venus, Mars, and Cupid, The Death of Procris, the Perseus and Andromeda series, at the Uffizi, and many others. 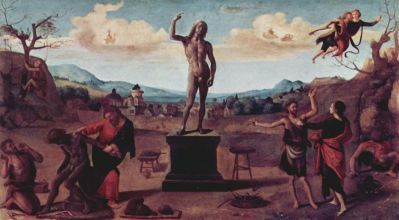 Inspired to the Vitruvius' account of the evolution of man, Piero's mythical compositions show the bizarre presence of hybrid forms of men and animals, or the man learning to use fire and tools. 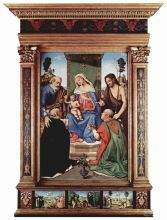 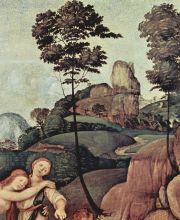 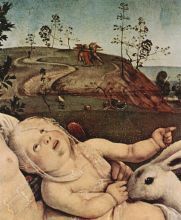 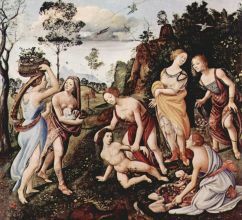 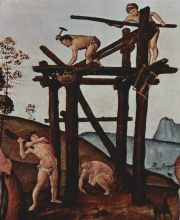 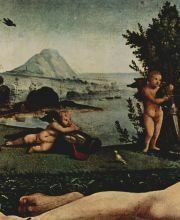 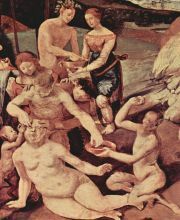 The multitudes of nudes in these works shows the influence of Luca Signorelli on Piero's art.